Whether you purchase a turnkey niche website from us, have us build one for you or build your own from scratch, there are some important steps to take from the start. It’s also important to know that it does take some work getting your website to produce results. You just can’t expect to slap a website up, do nothing and see results. Check out the free Niche Website Builder Wizard to easily build websites. If your a newbie, I would suggest reading the following posts before continuing with this post as they will provide an overview of the basic parts of a website. What is a Domain Name (URL) and Why do I Need it? Below I outline the major steps necessary to building a successful niche website. The first step is to pick the niche that you will be using. There are many different factors on determining the niche you select but here are some questions to ask yourself to help you during that process. What things do I want to learn more about? Are there products that can be promoted? What have I done recently that I enjoyed? Is there a problem you can solve? These are just a few examples of questions to start your niche finding but there are many more. I find it best to write down several ideas to start with and then narrow them down. The odds are that the first one you come up with may not be the best niche to pursue, so it’s nice to have a few backups. Once you have your list of niches, you will want to find profitable keywords to target and make sure that the niche is worth pursuing. This is one of the most important (probably the most important) step as it will increase your chances of having a successful niche website in the future. 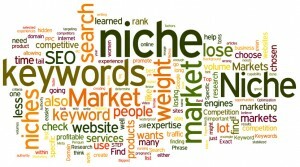 When selecting the keywords for your niche website there are a few things to focus on. When researching your keywords and using a keyword tool, it’s best to look at the Exact Match volumes per month of a keyword. 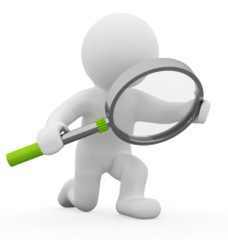 I recommend looking for keywords between 3,000-10,000 local monthly exact searches with a medium to high competition. The competition is the number of Advertisers bidding on a keyword. It is NOT the number of websites competing for a keyword. A higher competition in the Google keyword tool is a good thing. Make sure to use Exact Match and be aware that Google and possibly other keyword tools default to Broad Match. This isn’t a complete list but it should be enough to get started. There are a lot of other affiliate programs as well such as Linkshare, Commision Junction, ShareASale, etc. So think out of the box to find some hidden gems. The next criteria in determining your niche’s potential is the competition you will have to face. There are a few things to look for and consider. Your goal is to get on the first page of Google Search results and the ultimate goal is to be in one of the top 3 spots. There have been numerous studies on the breakdown of what each spots get as a percentage of clicks. The top spot gets about 53% of the clicks, the second spot gets about 15% and the third gets about 9%. Are there a lot of .edu domains in the top spots? Do the top spot domain names have your keywords in them? Content and size of websites in the top spots. Are your keywords used in the Title and Description of the websites? Incoming links to the websites. Again, this isn’t a complete list but they are important items to consider when doing your evaluation and as you become more experienced at it, you may add other items to your criteria. Now that we are well into the Panda/Penguin updates we have a better idea of what Google is looking for. Shortly after the panda update was released, Google gave more guidance on creating high quality websites which ultimately ends in high quality content. So the secret is quality content, OK so it’s really not a secret as Google has said this for years, but it’s more important than ever since the Panda/Penguin updates have rolled out. A great way to create content for your niche website is to use long tail keywords. Make sure to use them in the titles, descriptions and keywords of your posts. Subscribe to Blogs and News Websites in your Niche with an RSS Reader. Ubersuggest.org – With this free keyword tool you can instantly get thousands of keyword ideas from real user queries! Use the keywords to get inspiration for your next blog post. Analyze content that your competitors created with Open Site Explorer to find out what types of content were linked to or shared the most. Search discussion forums or social media platforms. Ask your Audience to see what types of problems they are facing or what they want to know more about. Once you have a list of content ideas it’s a good idea to create a schedule. Depending on how many niche websites you plan to manage it’s important to be organised. If you outsource your content creation to others in bulk, make sure that you schedule your content to go out at intervals. Now you should have a pretty good idea on the steps to take if you’re ready to start generating income from a niche website. Don’t forget to check out our ready made niche websites that we offer. We are adding more all the time. If you have any questions please don’t hesitate to ask us. If you liked this post and want to share it, please click the box below. This entry was posted in Advice, Internet Marketing, Turnkey Websites and tagged Advice, turnkey websites, website, wordpress. Bookmark the permalink.